Also read: Biggest tech fads of the last decade. 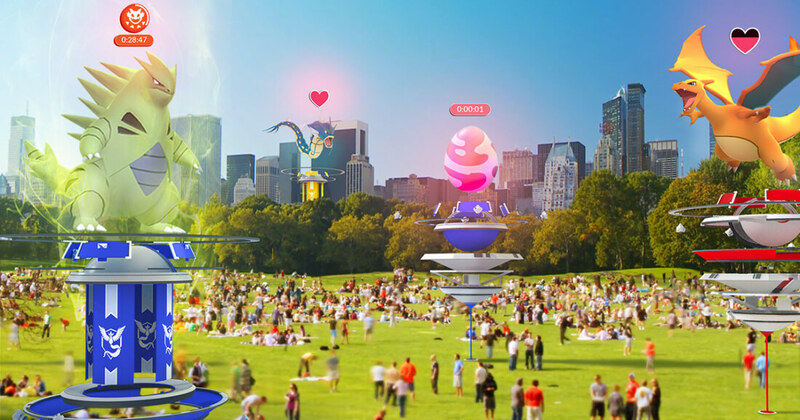 Niantic recognizes the problem - and they're keen to fix it, in the form of a huge summer update. This update will be adding much-requested features like multiplayer raids and a reworked Gym system. The new raiding system will be straightforward - a Pokémon egg will appear at a nearby gym, with a countdown showing how long it will be until the egg hatches. When it does, a powerful boss Pokémon will appear. Up to 20 players will then be able to attempt to defeat it within a 5-minute time limit. If players are successful, they will have a chance to try to catch the boss Pokémon for themselves (which will reportedly be much harder to catch than regular Pokémon). There will also be a few other unique raid-only rewards, such as golden razz berries (which increase your chance of capturing a Pokémon out in the world) and rare candies (which convert to a chosen Pokémon's candy when used). Aside from the new raiding system, Niantic is reworking gyms quite a bit in this update - so much so that they are disabling them in-game entirely until the update rolls out. Gyms now have 6 slots for Pokémon, and rival trainers must battle them in the order that they were originally assigned. Previously, the order was based on the strength of the Pokémon assigned to the gym. Additionally, gyms will now offer the same functionality as pokéstops - players can interact with a spinning disc to get berries, pokéballs and more. Finally, all Pokémon assigned to a gym will have a "motivation" system, which will cause their CP to lower over time - unless friendly players (from the same team) stop by and feed them berries to reverse the process. As good as this update sounds, players will have to wait a little longer to get their hands on it. Niantic claims that the update will be released "in the weeks ahead," but they have not provided a specific release date as of yet.